During 2016, AM licensee may acquire one FM translator above 92, move it up to 250 miles, and move to any technically suitable FM frequency. Translator must relay the AM station for at least four years. During 2017, FM translator application window open only to Class C and D AM stations that didn't get a translator in the 2016 modification opportunity. Later, FM translator application window open to all AM stations that didn't get into the 2016 modification opportunity. Daytime: stations currently must provide 5mV/m to 80% of population or 80% of area of city-of-license. Modified to 50% of population or area but only for existing stations. New stations or existing stations moving to new cities must meet old standards. Nighttime: stations currently must provide 80% of population or area of city-of-license to either 5mV/m or interference-free signal, whichever is greater. Minimum nighttime coverage is repealed for existing stations, no minimum requirement. New stations or existing stations moving to new cities must reach 50% of population or area. Rule requires Class A or B stations modifying their signal to reduce skywave interference. Could usually only be done by reducing nighttime power, thus reducing coverage. FCC will repeal this rule. Strength of AM carrier dynamically adjusted to maintain 100% modulation with varying modulation levels. Saves utility bills. Not controversial. Approved. Stations using MDCL must notify FCC within 10 days. Station must be able to achieve full licensed carrier power at some audio level. Station must be able to achieve full licensed carrier power if MDCL is turned off. MDCL must be turned off before performing field strength measurements. Night & CH protection to Class A Class A stations currently protected to 0.5mV/m 50% of the time skywave contour. 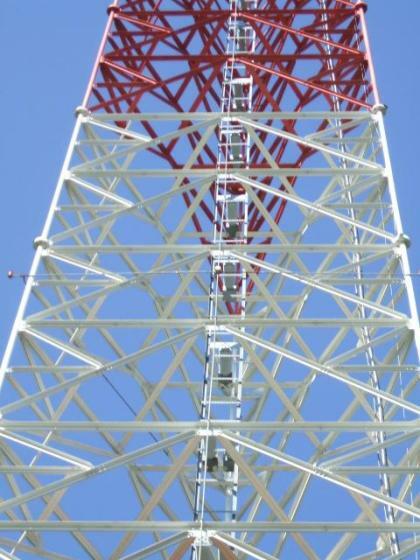 FCC proposes to eliminate ALL skywave protection. Class A stations would be protected to 0.1mV/m groundwave. Critical Hours limitations would be repealed. The method of calculating interference caused by a new station was changed in 1991 to include adjacent-channel interference, among other minor changes. FCC proposes to roll back to pre-1991 method. Currently, daytime, new stations must be at least: 26dB weaker than existing stations on the same channel 6dB weaker than existing stations on adjacent channels No stronger than existing stations on the 2nd and 3rd adjacent channels FCC proposes to roll back to pre-1991 rule in which first-adjacent channels must be no stronger than existing stations. 3rd-adjacent limit would be repealed altogether. You could have 570 and 600 in the same city. Currently, daytime, Class B, C, and D stations are protected to 0.5mV/m groundwave contour. FCC proposes to reduce protection to 2mV/m. Currently, FM translators relaying AM stations must contain their 60dBu service area within 25 miles of the AM transmitter site or the AM 2mV/m contour, whichever is lesser. FCC proposes to change that to 25 miles or 2mV/m, whichever is greater. However, in no case could the FM coverage extend beyond a 40-mile radius of the AM transmitter site. If an AM station with a directional antenna believes the system may be out of tolerance, or if certain repairs are made, the station must take measurements to prove it's working well enough. FCC proposes to simplify these measurements. FCC proposes to “normalize” rules allowing directional stations to use computer modeling to determine proper operation. AM stations receiving an expanded-band frequency were supposed to surrender either their X-band frequency or their old frequency within five years. Some did:) 54 X-band stations were built. 25 have surrendered their regular-band licenses and four have been cancelled by the FCC. 2 X-band licenses have been surrendered and one cancelled by the FCC. By my count that leaves 22 stations still operating both X-band and regular-band.. FCC proposes to require such dual-operation stations to surrender one of their two frequencies within one year of a date to be established. If a station doesn't make a choice, the regular-band frequency would be deleted. Currently, stations must have a “main studio” located either: Within the city-of-license, or: Within the city-of-license signal contour of any broadcast station licensed to the same city, or: Within 25 miles of the city-of-license. Should FCC be more willing to waive the rule for AM stations wishing to co-locate their studios with co-owned stations in the same market? Should there be an absolute limit on how far the main studio can be from the city-of-license?